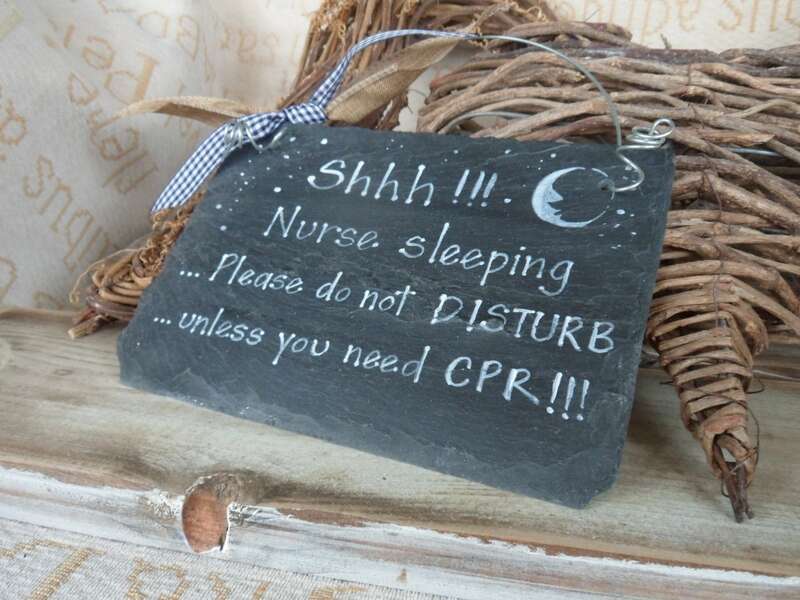 This beautiful painted slate or wooden sign will gracefully let guests know that the Nurse of the house is sleeping and not to disturb them. 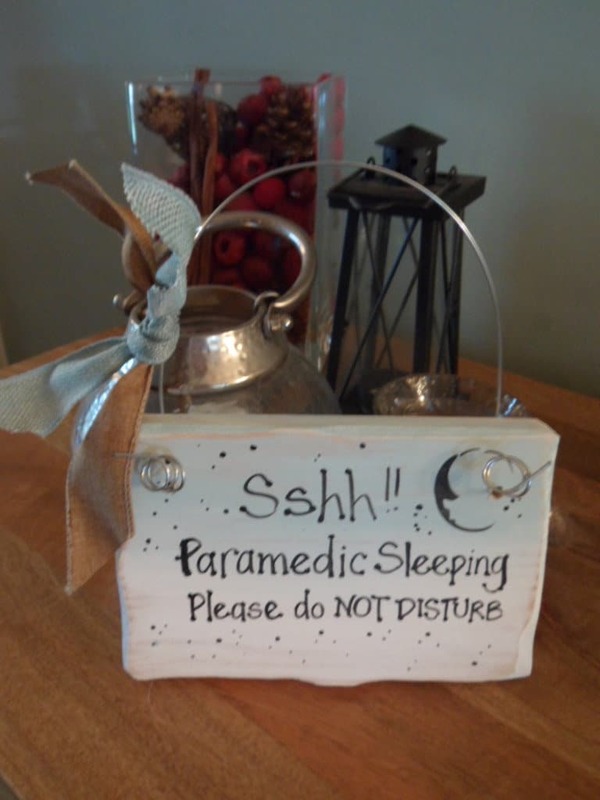 This makes a great gift for anyone in the medical field that sleeps during the day... for the Doctor, Nurse, Medical student, or Paramedic. 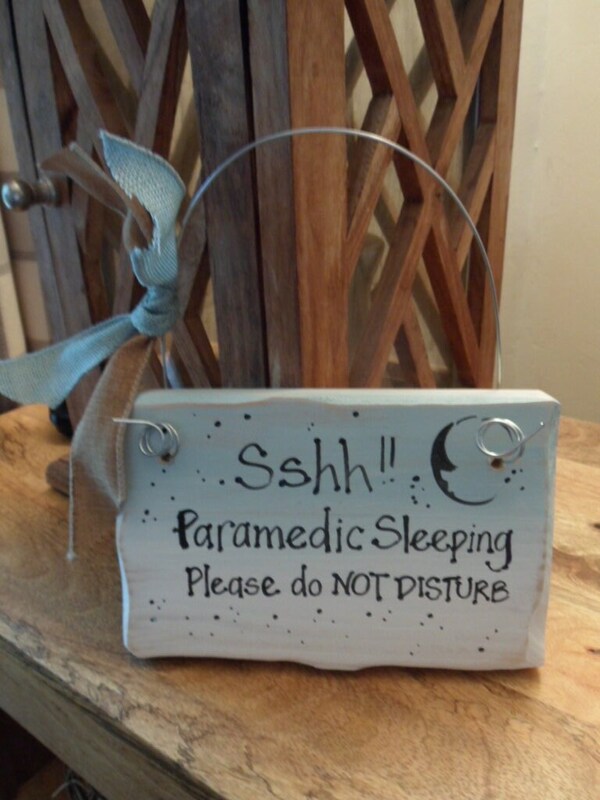 Please do not disturb door hanging sign. 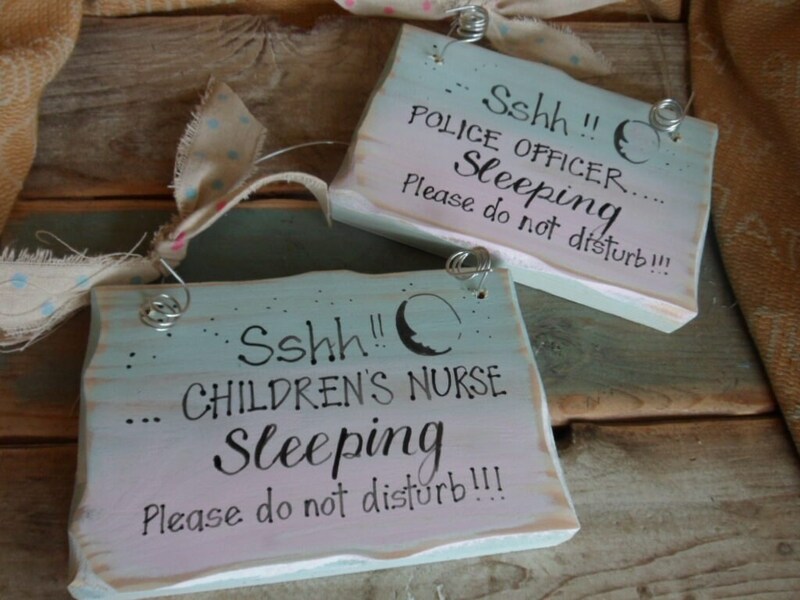 It's always the way, you're just getting to sleep after a gruelling night shift when the postman... neighbour.... or Avon lady knocks on your door. 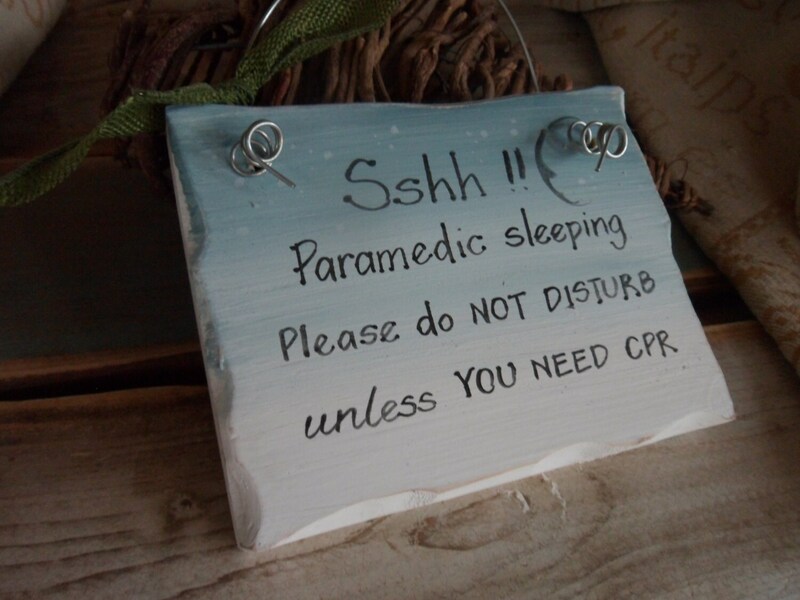 This polite but to-the-point sign helps minimise the chances of being disturbed. 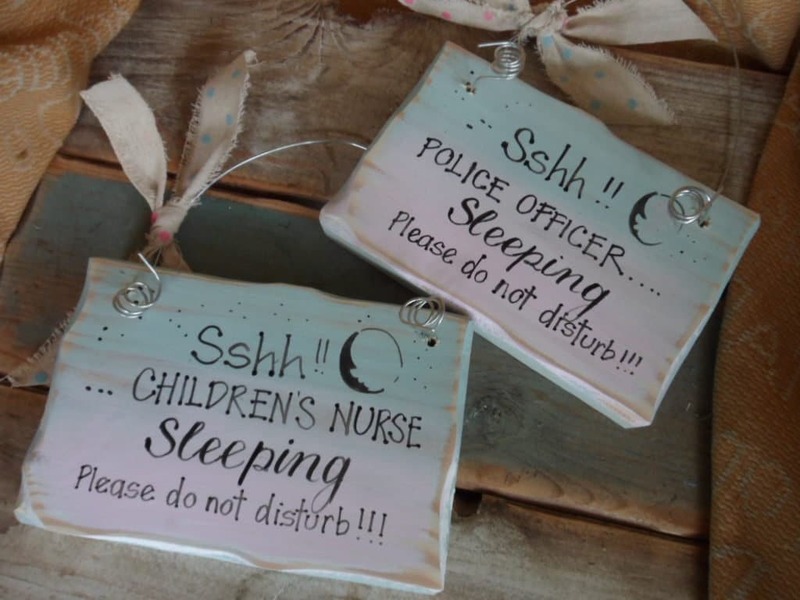 It comes dcorated with a little man in the moon and stars , tied with a knotted jute, wire or twine hanger that's attached to the sign for easy hanging. 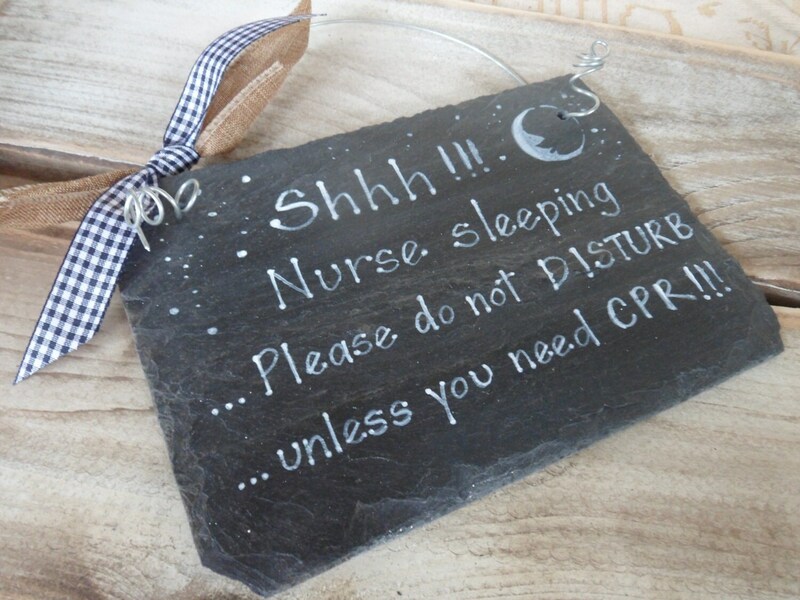 All slate and wood signs have slight imperfections, we do not use MDF and do not try to hide imperfections or knots in the wood. It's what makes it unique! 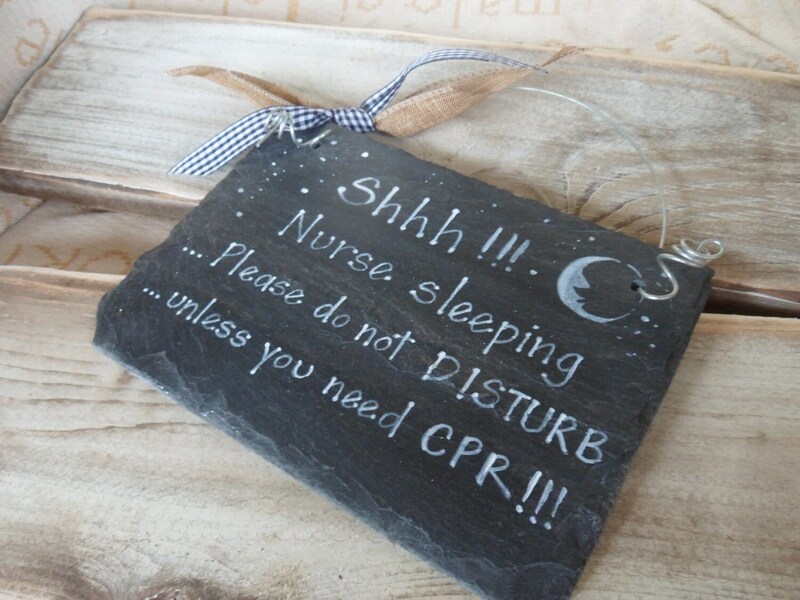 Available in both slate and wood. Thank you. Lovely quality item. I love it. 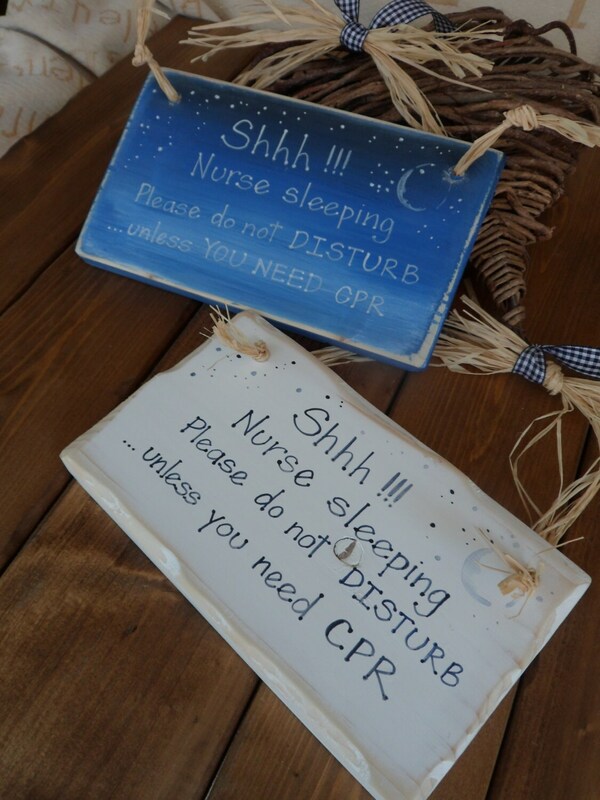 Im in love! Thank you! !